Subject: When Did Snapchat Start? Because Snapchat may go public in March 2017, investors are asking us a lot of questions, including "when did Snapchat start?" 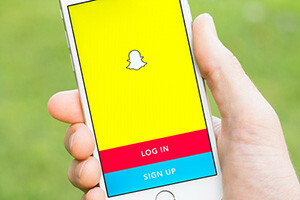 That's why ahead of the inevitable Snapchat IPO, we've created a Snapchat stock guide for our readers with some of the most common questions we've received. We'll share that guide with you in just a bit. But first, here's the history of how Snapchat started and became one of the most popular social media sites for teens and millennials…. The idea for Snapchat came from three Stanford students: Evan Spiegel, Reggie Brown, and Bobby Murphy. TechCrunch reported Brown wanted the photos he was sending a woman to have the capacity to disappear. When Spiegel heard this, he termed it a million-dollar idea. The three started working on a social media site with disappearing messages in the spring of 2011. At the time, eventual rival Facebook Inc. (Nasdaq: FB) was the subject of two concerns. One was employers and other institutions looking at applicants' Facebook profiles. Users were concerned some of their pictures may be perceived negatively. The other was the response to user requests to delete pictures from Facebook's servers. At the time, the status of requests to delete pictures or make them private was not clear. So the demand for disappearing picture and video messages, along with more privacy, was starting to build. The newly developed product from the trio was named Picaboo. At its July 2011 launch, it had just 127 users. Picaboo was renamed Snapchat in the autumn of 2011. The growing success of Snapchat made it an acquisition target for Facebook CEO Mark Zuckerberg. According to The Wall Street Journal, Facebook offered $3 billion for Snapchat in 2013. That brings us to today. Snapchat has over 150 million daily active users (DAUs) and is projected to generate $1.76 billion in revenue by 2018, according to Bloomberg. Because of its success, Snapchat is preparing for an IPO. And when Snapchat goes public, it could be the biggest IPO of 2017.